Hehehe! Yes point to be noted while making travel plans! Enjoyed this Tina! 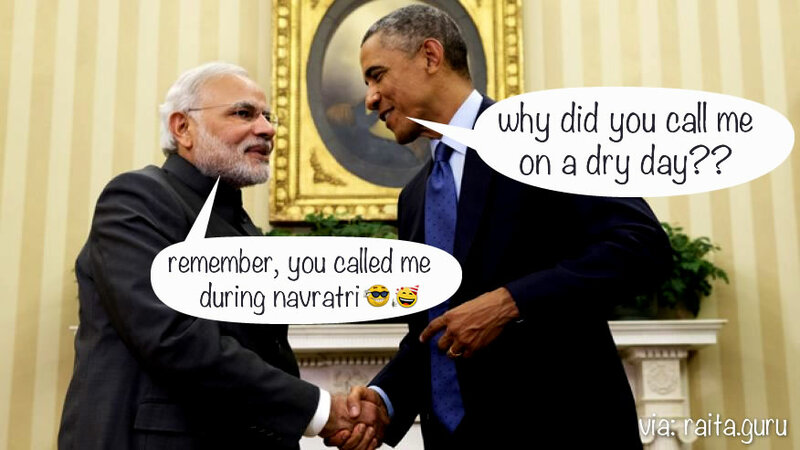 And the Modi-Obama piece…too good! oh yes. planning trips is very important. 😀 though I don't know if I'd ever tour Egypt. It'd be too hot for me, Tina. that was a lesson learnt albeit a hard way, but one thing I fail to understand is why there can't be a party without booze. Egypt fascinates me a lot but as I dont drink it doesnt matter for me. But nice post. I don't think I would have been brave enough to buy mystery beer from a stranger in a foreign country! Ha ha… I completely enjoyed this one! And man! You have guts… having a party when you were on a trip with parents! Terrific! The idea was of a booze party! When I think about it now I feel we must have been mad! Oh yes! That was a good tip about accepting booze from trusted source. You had some cruise there!